I found something interesting in the importer's code, thanks to a (lucky, I guess) crash. Looks like there was a weight importer at one point. Any way to enable this again? Uncommenting it doesn't seem to do anything with AC4. And was it ever actually implemented in a version of the importer/software? EDIT: Just read a bit more, some older versions did have skeleton and skin support (v2.01.17 through v2.01.22). Anybody have downloads for those? how did you know it worked before?if you are sure that you are working in advance, there is only one reason you do not work now. (you are using 3ds max 18) It does not work in the new 3ds max. Do you know what version of 3DS Max it did work on? I have 2016 and 2018, but can download 2014 if nessessary. EDIT: Just downloaded 3DS Max 2014, wasn't working. That's the oldest version I have. As far as I know the arx importer available never imported weights and bones. There only is the skeleton support with info in ARchive_NeXT, but tha't pretty much it. MDA will correct me if I'm wrong though. hey guys! all of you! just try on decompressing tool on forge files... just that... everything else is crap! Thanks for this great explorer. Did any of you guys export "Basilica Cistern" from Assasin's Creed: Revelations ? Hi guys, searching for days, for months, and it's a year now, we asked for Rainbow six siege ARchive_neXt support, but no one want to tell us the method to do that, i know two guys who are capable to do that but they don't want to share it, so it's impossible ?! Hello guys, will there be an unpacker for AC:O ? i want to get few models from Paris in assassins creed unity, but every time i want to see a mesh, i get an error and have to close program from task manager. Anyone has the solution? mwesten1 wrote: i want to get few models from Paris in assassins creed unity, but every time i want to see a mesh, i get an error and have to close program from task manager. Anyone has the solution? I'm in pretty much exactly the same sitiation. I want pretty much just a single weapon mesh from Unity (maybe a few others, once I find out how, but nothing grand or significant in scale) but whatever I try i get errors every time I try to open a mesh. MDA said somewhere on here that you should, despite the error, still be able to export meshes, however, this is not true for me, ceaseless pop-ups make any sort of export quite impossible. Any plans for Assassin's Creed: Origins or weighted skeleton support? is it possible to rip 3d Models from Assassin's Creed Origins too? If yes, how? I'm not sure if it's just me, but i am unable to extract succesfully any models from Ghost Recon: Wildlands. 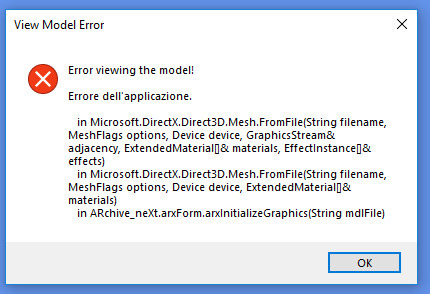 On Archive_Next, when trying to view any mesh, it gives endless amounts of errors and if you try to export the content of a spesific mesh folder into .obj format, the final product is completely broken.